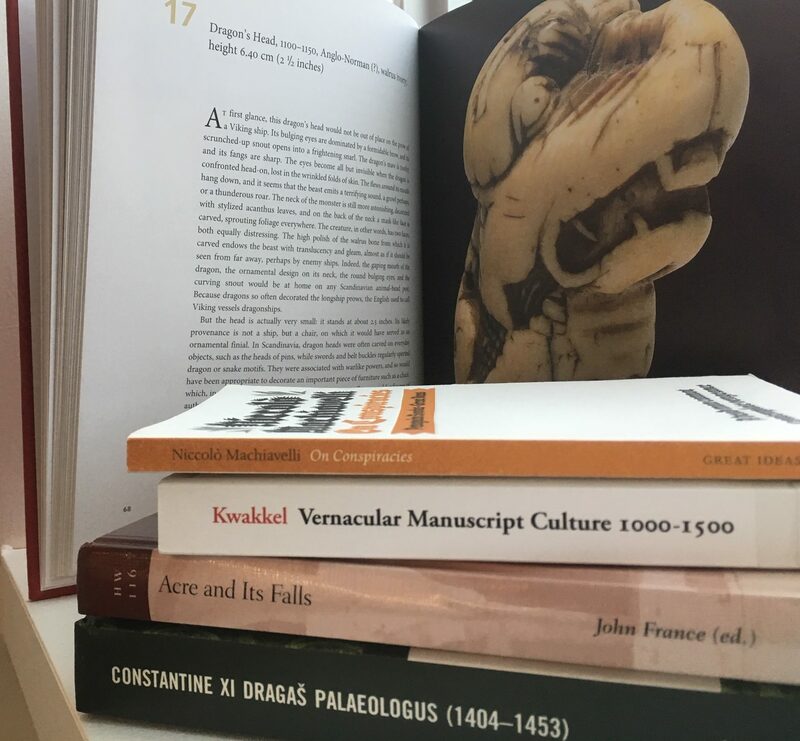 Excerpt: Complex and varied, vibrant and intense, medieval objects demand to be examined closely, to be thought about deeply, to be approached kinesthetically. Extraordinary in the multiplicity of meanings that it harbors and engenders, the material culture of the Middle Ages offers it beholders a rich experience of looking, often multisensory, always rewarding. It offers, too, a glimpse of a vivid society, or rather of many societies that were in constant flux and in intermittent conversations (and, at times, screaming matches) with one another. And yet, each object has its own history. So how do we write history through objects? Excerpt: Since conspiracies are of such dangerous consequence alike to princes and private persons, I cannot well omit to discuss their nature, for it is plain that many more princes have lost their lives and states in this way than by open war, because it given to but few to make open war on a prince, whereas anyone can conspire against him. There is, on the other hand, no enterprise in which private persons can engage more dangerous or more rash than is this, for it is both difficult and extremely dangerous in all its stages. Excerpt: This volume is devoted to a specific kind of manuscript: those written in a European vernacular language. Up until the thirteenth century, the vernacular languages played a modest role in written culture, given that Latin was the primary language used for most writing contexts, including administration, education, and Church affairs. There were exceptions in Europe, even well before the thirteenth century, that in some cultures the native tongue was used for these functions. Despite the dominance of Latin in both written and educated society, however, some manuscripts did include short sections of vernacular texts, which were often documentary or utilitarian in nature. Some of these can be dated as far back as the Carolingian period. The oldest encounter in French, for example, are oaths dating to 842. Except: The present volume is unusual in that it attempts to provide a wide range of aspects of the history of Acre across the crusader period, combining political, military and cultural history, with a notable emphasis n the memory of the city in Europe. This must have been a city famous for its falls, but most certainly not for them alone. Excerpt: The aim of this book is to produce a balanced portrait of an intriguing individual: the last emperor of Constantinople. To be sure, the last of the Greek Caesar was a fascinating figure, not so much because he was a great statesman, as he was not, and not because of his military prowess, as he was neither a notable tactician nor a soldier of exceptional merit. This monarchy may have formulated grandiose plans, but his hopes and ambitions were ultimately doomed because he failed to inspire his own subjects, who did not rally to his cause. He lacked the skills to create, restore, or maintain harmony in a troubled realm. In addition, he was ineffective on the diplomatic front, as he proved unable to stimulate Latin Christendom to come to the aid of southeastern Orthodox Europe. In the fifteenth century, it was even rumoured that this last emperor had been born under an unlucky star. Yet in sharp contrast to his numerous shortcomings, his military defeats, and the various disappointments during his reign, posterity still fondly remembers the last Constantine. And also check out Danièle Cybulskie’s website for details on her books!